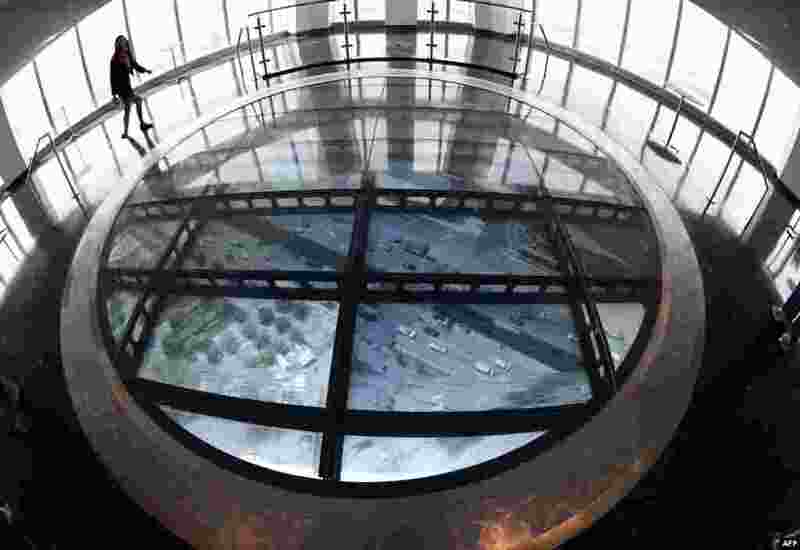 5 A member of the media stands on the Sky Portal, a 14-foot-wide disc that delivers high-def footage from the street below at the One World Observatory in New York. 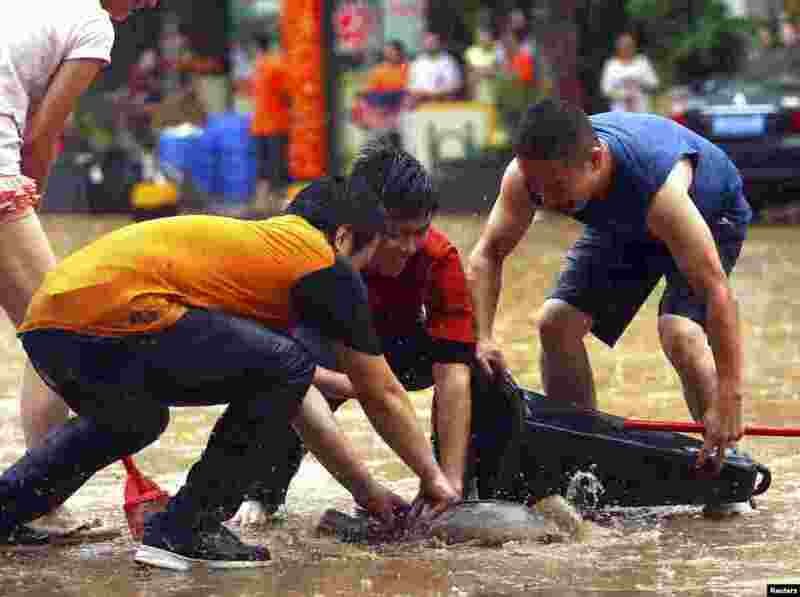 6 People catch a fish with a traffic cone on a flooded street after heavy rainfall in Dongguan, Guangzhou province, China, May 20, 2015. 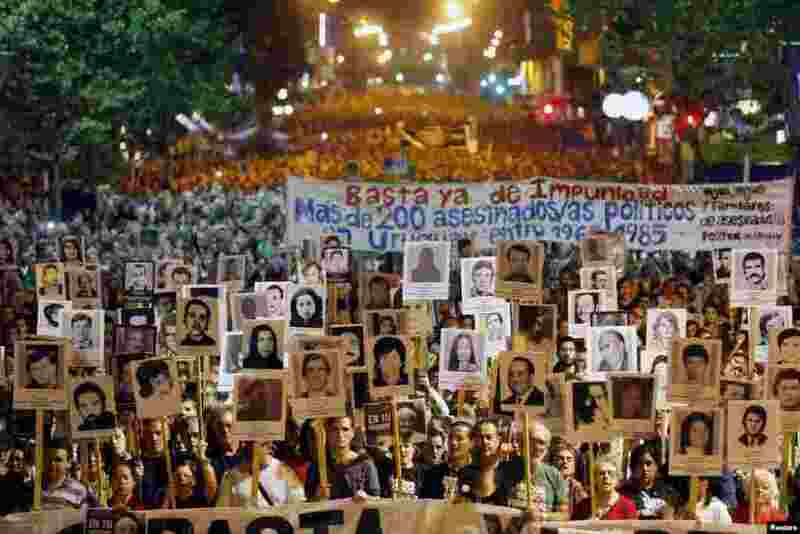 8 Uruguayans display pictures of their relatives who "disappeared" during the rule of the military regime (1973-1985), at an annual demonstration in Montevideo, May 20, 2015. Thousands of Uruguayans marched along 18 de Julio, the main avenue of the city, demanding to know about the more than 150 missing Uruguayans that they said were kidnapped by military forces.